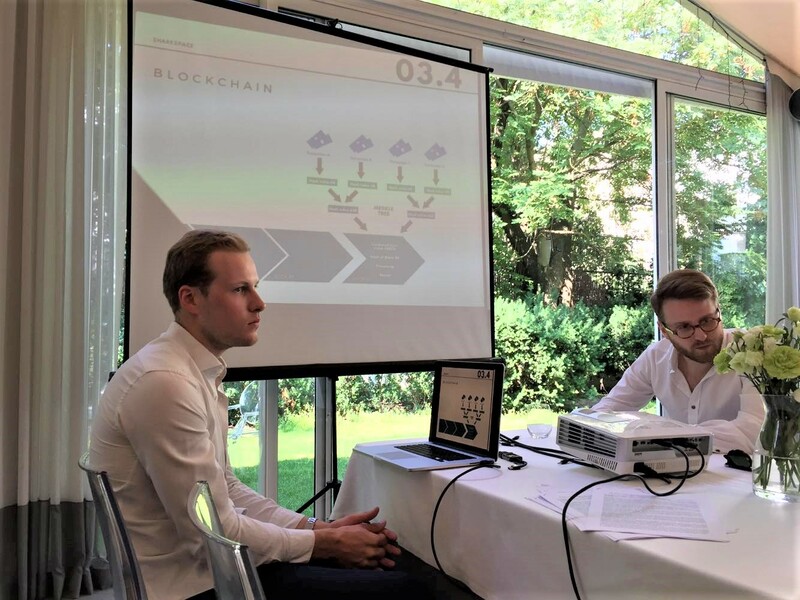 In August 2018 Polish startup ShareSpace, which provides innovative, tech-based tools in the field of quick offer access and lease process management of serviced and coworking offices across Poland, led to a transaction based on blockchain technology. In order to meet the expectations of platform users – freelancers, startups, small and medium enterprises and corporations, an innovative solution based on blockchain has been used to ensure the security of lease transactions, the irrefutability of commercial and legal conditions and the reduction of brokerage and advisory costs. Access, verification and validation of commercial documents and arrangements takes place through a decentralized platform, which significantly shortens the time of negotiations and at the same time maintains the security of the whole process online, even with the involvement of many parties. The first transaction was possible thanks to the cooperation of a pioneer task group. A detailed description of test scenarios of blockchain based transaction and verification of applications with functional requirements was supported by Atende SA, a company listed on the Warsaw Stock Exchange, specialized in providing advanced IT solutions in the field of IT infrastructure and services for public administration, health, energy and financial sector or telecom and media operators. “Implementation of blockchain in lease agreements is more than justified. Thanks to the invariant attribute of the information stored in the blockchain, all parties of the transaction and arrangements feel secure. Such a recording method is considered to meet the requirements of a so-called permanent carrier. The Atende solution also assumes the presence of trusted nodes that increase the security of transactions. The blockchain nodes involved few locations; the ShareSpace network, the Atende network and the trusted node of the Hogan Lovells lawyer’s office” – commented Jacek Szczepański, Vice President of the Management Board of Atende SA and Michał Legumina, Head of Research and Development at Atende SA. The proper course of the transaction was supervised by the Systems Research Institute of the Polish Academy of Sciences, which is responsible for the development of science across Poland, and which is dealing, among others, with research from the borderline of IT, mathematics and econometrics. Moreover in the transaction was involved a leading blockchain technology expert – professor at the University of Warsaw, Faculty of Mathematics, Informatics and Mechanics Stefan Dziembowski, author of numerous scientific papers on cryptology, including the creation of secure cryptographic systems in incompletely trusted environments, winner of international awards for outstanding scientific achievements. At the University of Warsaw he runs a research group dealing with cryptology and information protection. Hogan Lovells, international law company providing entrepreneurs, financial institutions and public administration bodies consultancy services, among others in the field of real estate law, competition law and intellectual property law took care of the legal support of the transaction. Hogan Lovells coordinated the implementation of the project in accordance with applicable legal regulations and prepared the smart contract, which in cooperation with ShareSpace technology can be used both for renting of small and large offices. “The office space rental market is difficult and extremely competitive. Therefore innovative solutions are needed to exist on this market. We are glad that our knowledge and experience could support such innovative project. 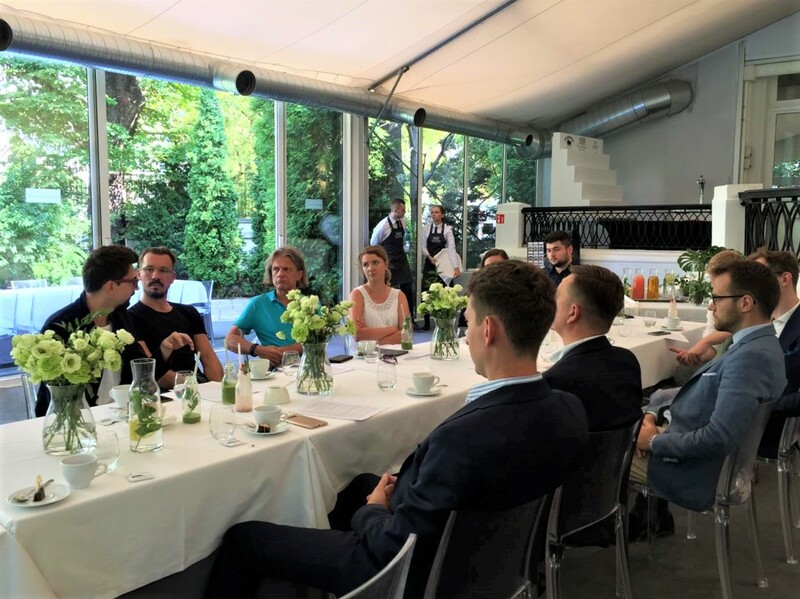 From the legal point of view, it is extremely important to propose a solution that is simple and functional enough to protect the interests of the transaction parties and make use of all the benefits of blockchain technology at the same time”- commented attorney Marek Wroniak and attorney Jan Starybrat, both representing the Hogan Lovells in Poland. International consulting company Cushman & Wakefield, strategic partner of ShareSpace was also involved in the transaction, in terms of business and market analysis and maintaining the highest commercial lease standards. Both companies, since September 2017, strive to develop and promote technological and commercial solutions, revolutionizing the flexible office market. “With the expansion of local players and the entry of new foreign flexible office operators, the development of the Polish coworking market has significantly accelerated in the last two years. We anticipate that by the end of 2018, the coworking space will be around 75,000 sq m. Thanks to our cooperation with ShareSpace, our clients can quickly rent space in coworking centers and serviced offices on flexible terms in more than 14 cities throughout Poland, using more and more technologically advanced tools, which we have also seen in this transaction” – says Mikołaj Niemczycki, Coworking Clients Manager in Office Department in Cushman & Wakefield of Cushman & Wakefield Poland. “Thanks to the dynamic development of the office market in all its segments and to the emergence of completely new players, both on the demand and supply side, we have a chance to create a friendly area in Poland for companies engaging their capital in the development of blockchain based solutions, so that in the near future our country our country may be at the forefront of countries investing in this technology “- says Richard Aboo, Partner, Head of Office Department in Cushman & Wakefield. One of the first smart contract transaction parties was Business Link – Poland’s largest coworking space operator, offering access to the business community of start-ups and corporations. Thanks to the use of technology and automation of the rental process, the operator relieves his team from burdensome negotiations, guaranteeing at the same time indisputability and integrity of the transaction. “For Business Link, professionalism and innovation are priorities, this is why taking part in a blockchain-based transaction was quite natural for us. Thanks to the automation of the entire process, we have not only saved time, but also it has simplified the access for professionals to our network of 17 unique spaces located in the largest cities in Poland” – says Maciej Król, Chief Growth Director at Business Link. Ricoh Poland, acting as the tenant, made a lease transaction in less than 10 minutes, from searching, to signing a contract through the ShareSpace platform. The company also gained access to the network of tenants of the Business Link space in Wroclaw and Poland. “Ricoh, being the leader of modern office solutions, thanks to the provided tools, not only gained the possibility of using blockchain technology, which accelerated signing the contract, but also enabled access to the Business Link community, which increases the potential of sales market for our services and products” – says Rafał Gutkowski, Office Services Director representing Ricoh Poland. Demand for flexible workspace for both corporations and startups can appear virtually overnight. Blockchain technology allows to shorten the process of renting flexible spaces to an absolute minimum, at the same time it maintains and guarantees the extremely important integrity of legal and commercial conditions. 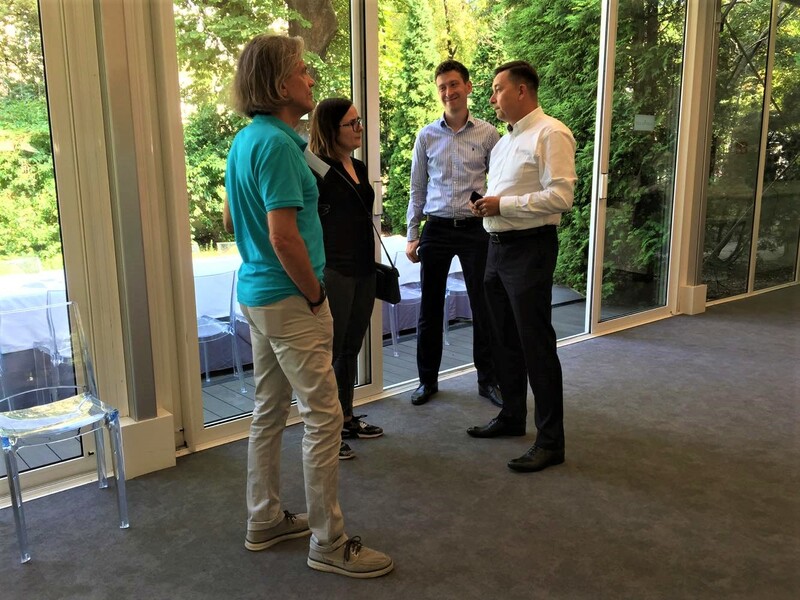 The use of blockchain technology in the real estate market is an unprecedented event on the Polish market, and securing the integrity of commercial and legal conditions is a unique precedent on a global scale. Thanks to this, ShareSpace is heading to the position of a leader in terms of solutions facilitating the rental of commercial real estate and believes that soon this technology can be used to improve the processes of renting traditional office spaces. ShareSpace founders: Robert Chmielewski i Marcin Dyszyński. Journalists and representatives of companies participating in the innovative lease transaction based on blockchain: Atende SA, Business Link, Cushman & Wakefield, Hogan Lovells, Ricoh i ShareSpace.